After you’ve found your dream home with all of those features you’ve been looking for, it’s time for the home inspection! Home inspections are a huge deal.. because buying a house is a huge deal! It’s easy for buyers to overlook this (click here to read our post Why Not To Take Risks on Your Inspection Contingency), but this is a risk that you wont wan’t to take. It's easy to think that just because a home is beautiful and looks completely sturdy and flawless, that there are no problems under the surface. But truthfully, every house will have it's little quirks and flaws! This is your one chance to really get a good look into the long term investment of buying a home. One thing that many people don’t know is important is that it is best if you can walk through the process along side your inspectors. It will take anywhere from 2-4 hours, depending on the house, and is absolutely worth the time! Maybe you noticed some water stains on the ceiling, or some cracks along the foundation. This is the perfect opportunity for you ask all of these questions, and understand the ins and outs of your possible new home! So what exactly is your home inspector going to look at? Here is a list of all of the things that your inspector will evaluate and report on. As you can see, home inspections are quite extensive. You should leave your inspection with the piece of mind that you either know that there are no major issues, the issues have been pinpointed to begin the process of repairs, or the issues are too large to consider that particular home. Plan your inspection carefully. Don’t just go with the cheapest options. Really spend some time researching, asking questions, and looking at reviews for an inspector that you feel completely comfortable with. You’ll definitely want to make sure that the inspector is a licensed professional and belongs to a professional group such as the ASHI, NAHI, InterNACHI, etc.. Unfortunately, the biggest problems that most inspections will not reveal are asbestos, mold, or insect infestation. If you’re fearing that the home may have some of these issues, you will need to go to farther lengths to have your home thoroughly looked at by inspectors that specialize in these areas! All in all, a home inspection is one of those things that may feel like a hassle, but really it is a fantastic opportunity for you to really understand the home you’re looking at! The truth is that no home is perfect, and if you can get a detailed list of the flaws in your potential home, you’ll have the peace of mind to deal with the problems and finally move into your dream home! Want to learn more about home inspections, and how we can help you in your buying process?We love helping buyers understand the full process of purchasing a home. Give us a call or shoot us an email if you’d like to know how we help you understand every little detail of a home inspection! Tips for an Easy Move! Moving can be STRESSFUL! Sure, it’s exciting starting an exciting adventure in a new house, but we all know that packing up and moving can be so hard! We are here to help with some great tips that can not only make moving a little easier, but maybe even fun! Purge before you pack! This is so key! Packing up all of your belongings is hard enough, but when it also means finding room in your boxes for all of those little trinkets that you’ve collected along the way, it makes it even harder to move! Spend some time to through all of your things and donating or throwing out all of the junk like broken items you never threw away, old kitchen things that you’ve never used once, those extra mugs (you know you have too many!! ), and even old clothes. It might sound like more work, but this will make packing — and even unpacking — so much easier! Don’t forget to pack an essentials bag. This is HUGE! When you’re in the middle of that hectic move, nothing is going to feel better than knowing that you know exactly where all of your toiletries, chargers, changes of clothes are so you can just take a minute to breath! Theres nothing worse than finally moving in and then realizing your toothbrush is nowhere to be found! Start early—but not too early! Make sure you’ve really thought through your moving day. Create a schedule that works best for you as well as your moving company if you’re using one. Obviously start packing in advance, but you’ll want to make sure its not too far in advance! It can be so tempting to start packing early when you’re so excited to move into a new place! However, packing early can often times mean packing up things that you’ll need, and living out of boxes earlier than you need! The timeframe that you’ll need is completely what feels comfortable to you. Some people can completely pack up a home within two weeks! But many people need as many as 6 weeks to pack! Make sure that you give yourself enough time to not feel that frantic stress! Label your boxes the right way. Unpacking those dozens of boxes is hard enough, but 100 times harder when your dishes end up in the living room, and your bath towels are in the kitchen! When you take the time to label each box (extra points if you color-code! ), you’re going to make your life much easier after you’ve moved! You could even go the extra mile and write brief descriptions on each box of what is inside. Another great labeling tip is to always label the sides of your boxes for easy access if your boxes are stacked! Do your research on moving companies! Read those reviews. Seriously. Moving is stressful enough without dealing with a moving company that doesn’t meet your needs! We recommend going professional. Of course your going to find dozens of so-called “moving companies,” that are just some random people looking to make quick cash. Go ahead and use a professional, licensed service. And don’t forget to read the fine print! you’ll want to know their damage policies and what they will/won’t move. And of course, ENJOY it! Of course moving is downright exhausting, but you’re embarking on a new and exciting season of your life! Take some time to really enjoy it. Get some take out for dinner with your roommates, family, partner, or yourself and just relax! Moving is a big deal, and it’s so easy to let the stress and planning take over. Being mindful and setting time aside to wind down can really make moving so much more fun! Finding a house that you love can be hard! At Alise Roberts and Company, we love partnering with buyers to make their home search the best experience possible. Everyone deserves to find the perfect home — let us make it easy for you! Contact us today to learn more! Buying a house can be risky. In this competitive market, there are some risks that are totally worth it! But there are also risks that can potentially be dangerous and costly. At Alise Roberts and Company, we are all about ensuring that your home buying experience is as well informed and a smooth and safe process. We are so excited to bring you some helpful tips to the risk taking home buyers looking for some great ways to take risks the safe way! One risk that we think is vital to avoid is when buyers waive their inspection contingency. What exactly is an inspection contingency? 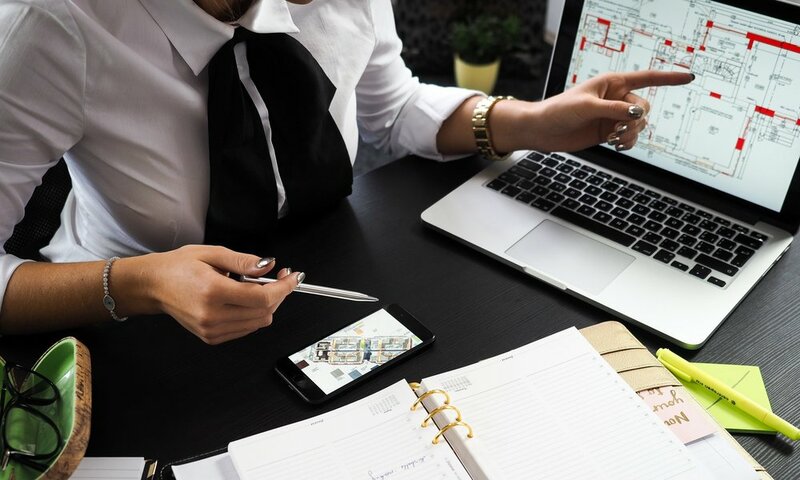 Also known as a due diligence contingency, this gives a home buyer the right to have the prospective home inspected within a designated allotted time (i.e. 5-7 days). 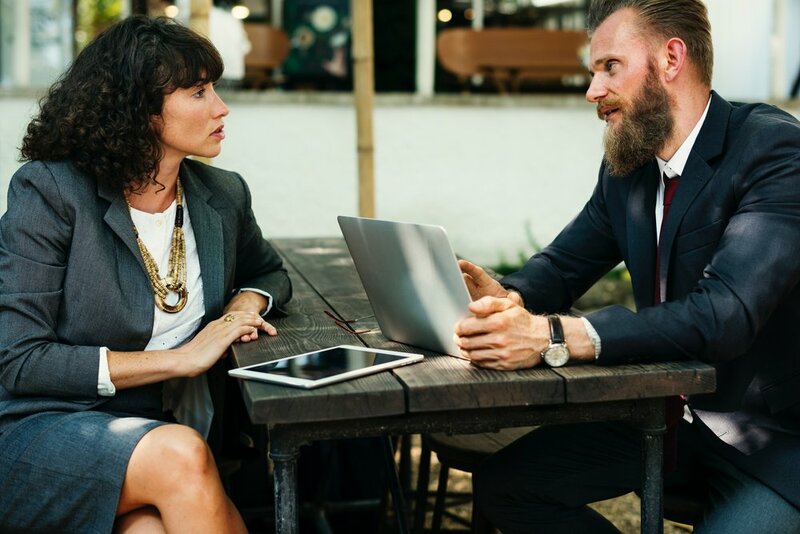 This is so important because if your professional inspection turns out to reveal some safety concerns, damage, or any other costly issues, you as the buyer have the right to cancel your contract, do some negotiating, and talk about repairs. For obvious reasons, forgoing the inspection process as a whole is something you will really want to avoid. 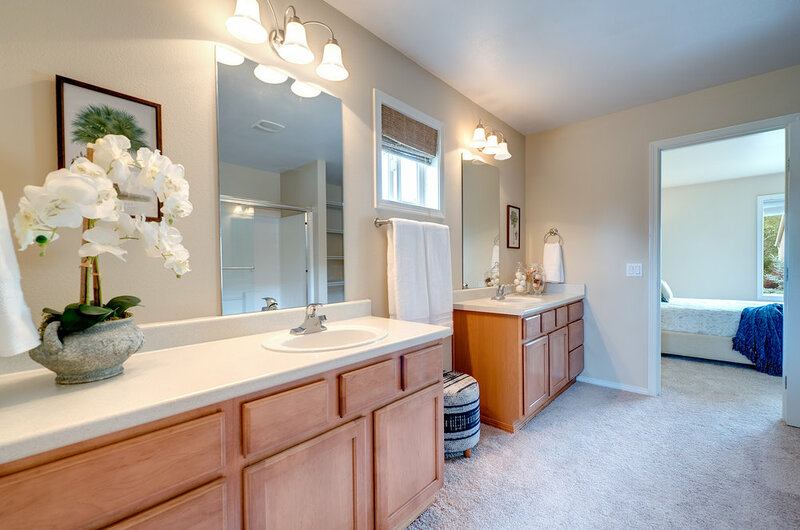 More often than not, a home that looks beautiful cosmetically can have some major problems. Of course, finding out if there is a costly issue with the home prior to purchase can save you an immense amount of time and hassle! If you forgo your right to have the home inspection, you could move in only to find a dangerous mold problem, issues with the foundation, bad pipes, the list goes on and on! But there is hope! If you are wanting to eliminate the inspection contingency while still protecting yourself, you can choose to have a pre-inspection! This is where you hire a professional inspector to perform a full inspection BEFORE you write an offer on the home. What is great about this option is that if you were to find some problems with the house, you can take note of that and base your offer off of the knowledge that there are some issues, or you can make sure to make arrangements to handle them post purchase. Unfortunately a home pre inspection will set you back anywhere from $200-$500, and since you don’t have an approved offer, you may not win the bid. These are definitely some variables you’ll want to consider. However, home ownership is one of the biggest investments you will make in your life, and taking that step to do a home pre inspection can be it’s own smart investment into assuring that you are investing in something that is worth it! As always, we are here to help you sort out all of these complicated and important real estate decisions! We love helping buyers understand the full process of purchasing a home. Give us a call or shoot us an email if you’d like to know how we help you understand the ins and outs of home inspections! What is Earnest Money, and Why is it Important? The home buying process can be complicated. There are so many details that we know are hard to understand, and maybe you haven’t heard before! At Alise Roberts and Company, we want to make sure that you not only find the house of your dreams, or sell your own home, but that it is an exciting journey with as little stress as possible. One of the key terms that you’ll need to know when finding the home of your dreams, is earnest money. Earnest money is a deposit you pay to show the seller that you are serious and that you will make a good faith effort to follow through and close. You’ll want to really be mindful about what you’re putting down for earnest money — typically 1-5% of the purchase price — because the higher the earnest, the more appealing your offer might be. And when you’re putting in an offer for a house, you’re going to want to make sure that your offer is the best in every way! It’s really important that you are prepared to put down earnest money, and have these funds available and ready to be deposited as soon as you make an offer. When your offer is accepted, the money will be deposited with the escrow company via check, or wire from your account. Is earnest money required during the process of purchasing a home? No, but its no secret that it makes your offer look much more impressive. It’s always a good idea to put some money in the game to make sure that the buyer knows how serious you are. Sure, it seems pretty simple! However, there are a few key things to remember about your earnest money. If you end up terminating the transaction without legal excuse, your earnest money may be forfeited to the seller. There are some things that you can do to protect yourself from losing your earnest money. It’s always best if you can include protections for your earnest money such as financing and inspection contingencies. These things will allow you to verify that the home is sound, and valued at the price you are willing to pay. The best part is that if everything goes well and the deal closes, the earnest money will be applied to your down payment or the closing costs! Essentially, earnest money is very important, and you need to make sure that you’re in a place where you can pay enough to make your offer really stand out, but in the end, all of that money is really put toward your home! We hope that this post helps you in your home buying process! At Alise Roberts and Company, we love helping buyers understand the full process of purchasing a home. Give us a call or shoot us an email if you’d like to know how we help protect our buyer's earnest money and simple things you can do to make an offer appealing. Let’s talk loan pre-approval. This is one of those things that a lot of home buyers assume is a piece of cake, and then end up getting themselves stuck without a loan! Loans are so essential to home buying, but if it’s your first time, or you're not quite sure what you’re doing, it can be easy to make mistakes and up without a loan! At Alise Roberts and Company, we want to arm you with the best tools to make your entire home buying process a breeze. If you’re in the process of buying a home, the last thing you need is a failed loan. 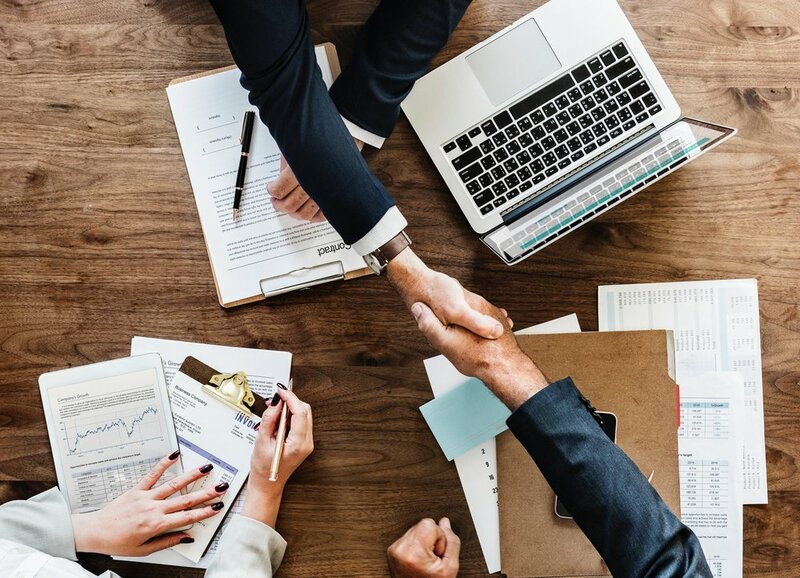 We really want to make sure that you are set up for success, and fully prepared for the loan process so that you have no problems getting your dream home! We’ve put together a great list of five things NOT to do during your home buying process! 1. DO NOT quit your job! Seems pretty simple, but this is crucial, and believe it or not, this happens! During your loan process, your lender will typically call on the day of funding to verify that you are still employed. And what happens if you’re not? No loan! So try to tough it out at your job until that loan goes through! 2. DO NOT open new credit or co-sign a loan. We all can get carried away with the excitement of filling your new house with new stuff. If you’re looking at some fun new appliances to spice up that new kitchen you’re looking at, or thinking about splurging on some new furniture, stop right there! It’s an absolute must to wait on these things until after you’re under contract with your house. 3. DO NOT deposit cash into your checking or savings accounts. Make sure that you talk to your lender before doing either of these things. Any money deposited to your accounts needs to be documented and have a paper trail accounting for the reason for the deposit, and who where it came from. 4. DO NOT move money between your accounts. When you’re in this period, your lender actually has to track each and every withdrawal and deposit. It’s best to just hang tight, and not make your lenders job more difficult. 5. DO NOT go on vacation. House hunting can be downright exhausting, and getting out of town for a little vacation can be so tempting! Make sure that you wait until you are officially under contract with your home until you head off and relax. This will make the process so much easier for everyone involved! 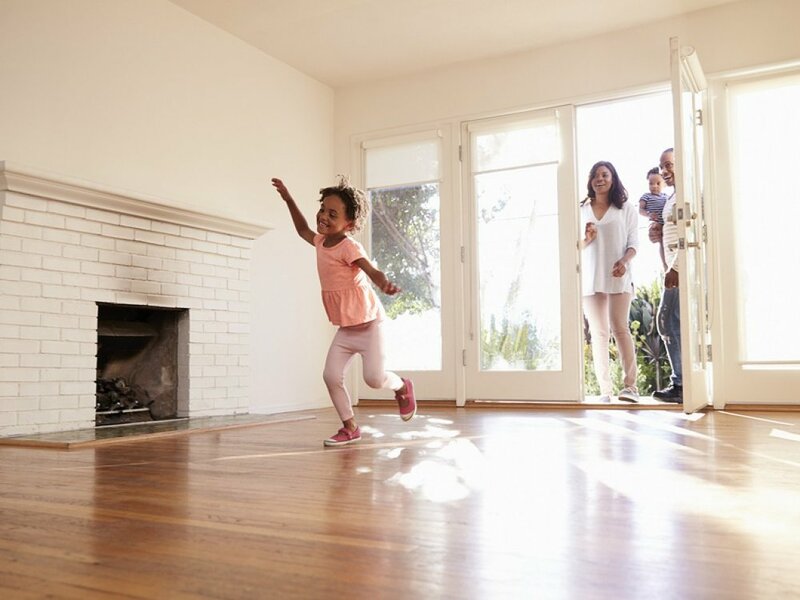 If you can follow these five simple after you’ve been pre-approved for your loan, we promise that your experience will be MUCH more simple and you won’t risk jeopardizing your dream of home ownership! It’s time to spend more time dreaming of your new life in that beautiful home, and less time stressing about what to do if you don’t get that loan! Please feel free to contact our team at any time of your home buying process! When it comes to selling your home, video marketing is so crucial. Videos are a vital step that takes a home from just another house on the street, to a stand-out property. Using videos can allow your home to be memorable, look more high quality, and appeal to the modern age of home buyers! A picture can only do so much, when you engage a viewer with video you are leaving a much stronger mark so that they will be sure to keep your house in mind! Video marketing helps create an overall higher quality sense to your brand. It's so important to set yourself apart when you are selling a home! Creating a brand that looks top notch is going to put you ahead of the others! Use today's technology not just to sell, but to make a lasting statement of your personal brand. 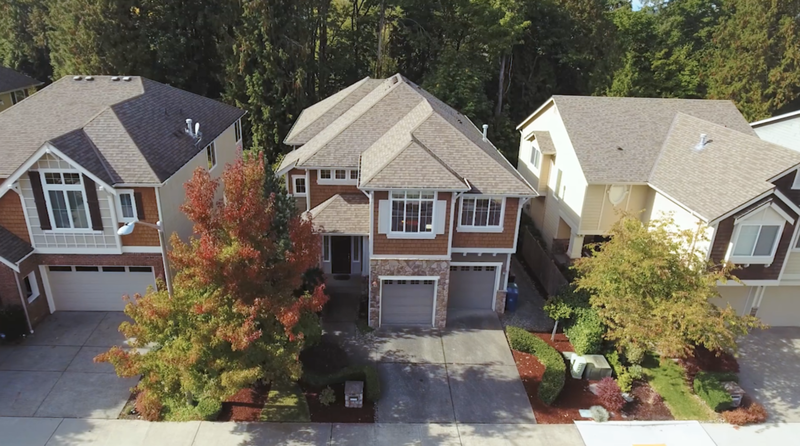 Here are our top 3 reasons why you should be using video marketing when you list your home! 1. Video marketing engages the senses. They see it, they hear it, they feel it with sight, sound, and emotion. Photography alone is limited to sight. Video marketing takes the emotional connection to a whole new level. If you stimulate more than one sensory, buyers are more likely to remember what they are seeing, and your home is going to stand out from the competition. 2. 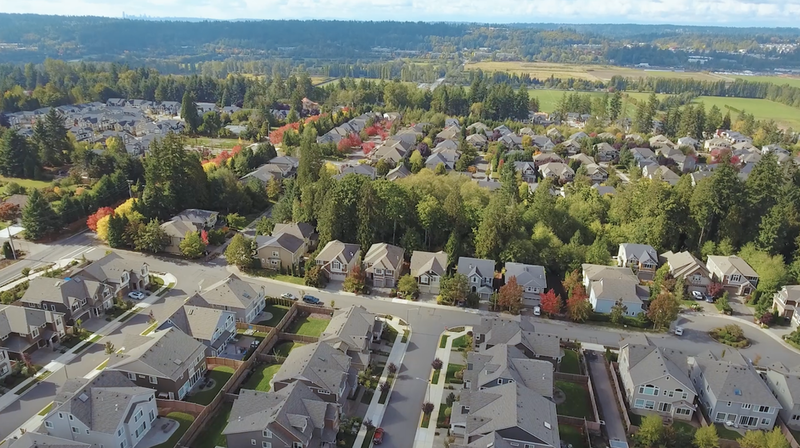 High-end video marketing influences buyers to feel that your home is special. Why does your home include high-end professional video while the home down the street does not? There must be something special about your home that makes it video worthy! It’s the oldest trick in the book, and it still works. Buyers want the home that everyone else wants, and videos make your home feel that much more desirable. 3. We live in a digital world. Life is moving at warp speed, and people do not have time! Buyers want to see as much as they can with the least amount of effort. Video marketing shows buyers different perspectives that you just can’t see with photos alone. And they can do this all from the comfort of their own home, on their own time. Which generally is in the evening, on their laptop, it their pajamas! Which also means they are generally more relaxed, and in a better frame of mind which results in a positive experience viewing your home online. And now that they love it so much, they’re willing to rush out and take a look at it before it’s sold. And that’s the secret! Videos entice buyers to want to see your home before they’ve even been there! This creates a rush of buyers interested in your home during the most precious marketing technique time you have, which is week one. And if you get offers in week one you're more likely to get a higher price. Isn’t that what marketing is all about—top dollar! But not all video marketing is created equal. That’s why you need to hire a top notch agent who includes professional video marketing, and understands the importance of it.